Attention Italian guitar fans! William Stravato has a gig on May 19th at Alpheus in Rome, that will include special guest Guthrie Govan. Guitarists Brett Garsed and William Stravato will be touring Italy together in late June-early July. The tour will be a mixture of clinics and live gigs. 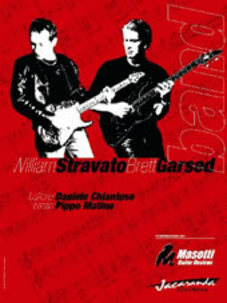 Garsed has made guest appearances on a couple of Stravato's albums, and they've played live together before. These shows should be awesome! Too bad they won't be playing in my neck of the woods.